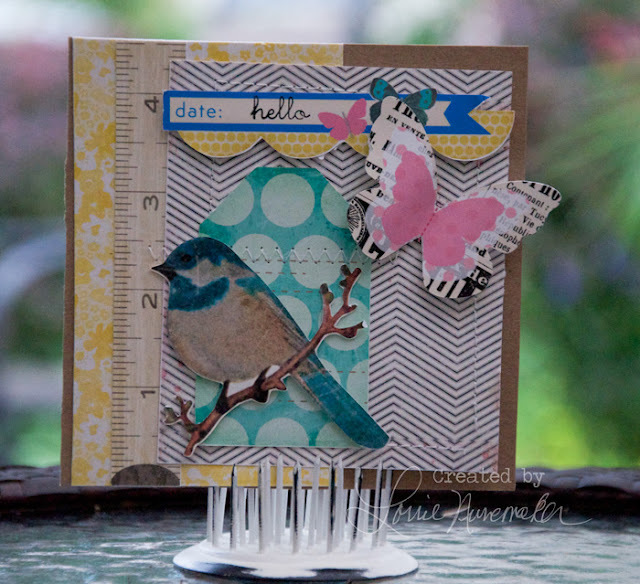 Lorrie's Story: Digital Card using Maggie Holmes digital kit. I was so excited to see that Maggie Holmes now offers her line in digital! I made this card entirely from her digital elements and papers which I imported to the Silhouette. I am in love with this entire line! I added just a little stitching around the black/white chevron paper and across the tag. The "hello" is a stamp by Papertray Ink.